Cardiac imaging: where's the evidence for prevention? NON-INVASIVE cardiovascular imaging tests in asymptomatic patients should be subject to greater scrutiny and follow-up monitoring, according to leading Australian cardiologists. Dr Clara Chow, head of the cardiac program at the George Institute for Global Health, said the Therapeutic Goods Administration bar for evidence-based approval of new diagnostic technologies should be raised. “We often have a new test approved and it just continues, and there is no review again of how it is going or whether it has actually been useful in the clinical arena,” she said. She advocated follow-up and further assessment of the safety and efficacy of new tests. “We are very strict on drugs but we are relatively less strict on new tests, that is definitely true,” she said. Professor Ben Freedman, professor of cardiology at the University of Sydney and cardiologist at Concord Repatriation General Hospital, said before people invested in this type of screening test more information was needed about whether it would actually make a difference that was worth both the expense and the radiation risk. Dr Chow said the pressure for imaging probably came from patients. “Patients want to know if they have or haven’t got a disease and it is probably of interest to many people whether they do have subclinical disease,” she said. There was evidence from many research studies that non-invasive imaging did assist in reclassifying patients to higher or lower risk groups and in more accurately determining the prognosis of patients. “These are all very important in managing patients and in counselling them about their risk,” she said. In a meta-analysis, the study authors searched for randomised trials that compared imaging with usual care and reported any impact in a primary prevention setting on medication prescribing, lifestyle modification, angiography, or revascularistion. Imaging modalities included were computed tomography, magnetic resonance imaging, echocardiography, positron emission tomography, arterial ultrasonography, nuclear myocardial perfusion imaging, exercise electrocardiography, and radionuclide angiography. Subjects in the trials ranged from asymptomatic middle-aged patients with no history of cardiovascular disease to patients with major cardiovascular risk factors. In the seven trials analysed, imaging had no effect on medication prescribing, or on provision of lipid-modifying agents, antihypertensive drugs or antiplatelet agents, and was not associated with invasive angiography. No effect was seen on dietary improvement, physical activity or smoking cessation. 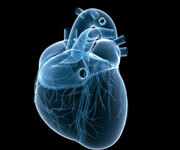 The authors said they conducted their study because of the “explosive growth in the use of cardiovascular imaging”. “Second, policy makers need to rethink the thresholds of evidence, financing, and oversight of use of expensive diagnostic technologies and their relative value in patient-centred terms,” the editorial said, adding that more high-quality evidence was needed. “Only then will we know whether the benefits outweigh the risks of this all too common practice,” the editorial said. Professor Michael Feneley, of the Victor Chang Cardiac Research Institute, said current guidelines did not support the use of these tests in primary prevention settings. However, he urged caution in interpreting the study due to the low prevalence of disease in the meta-analysis and the variable accuracy of the multiple different imaging tests evaluated. Professor Freedman said to encourage healthy people to change their behaviour, more was needed than simply showing them the results of an imaging test. “Humans are very difficult to motivate and in primary prevention it is very hard. A lot more thought has to go into how you would use the imaging intervention to motivate people to change,” he said. 1. Arch Intern Med. Published online March 14, 2011. 2. Arch Intern Med. Published online March 14, 2011. If new technologies are not contributing to prevention then their use should definitely be assessed as a matter of urgency. Their cost adds immensely to the health care budget and to the cost of private health insurance. If that money were used for primary health care programs aimed at prevention, we may see better outcomes. Better health education programs in schools, assistance for low income families who are finding it difficult to pay for their children to take up sports and funding to lobby governments to ban advertising of junk food would be far better use of taxpayer dollars. This appears to be another case of publish or perish. Imaging in asymptomatic patients? Who does this? I seem to only have time to deal with patients with symptoms and certainly no time to go ordering tests in patients with no symptoms. Prevention is several steps prior to investigation, in fact, would have to be prior to a patient ever presenting with symptoms. Asymptomatic patients – Is this referring to a screening program or a practitioner who has forgotten that investigations are done to confirm or deny a diagnosis which follows history and examination. If the latter is the case, then the practitioner might need to take a refresher. If a patient wants testing for heart disease on the basis that he is human and therefore may have the heart disease, as a direct request, it is hardly preventive medicine, it is more likey treating an irrational fear very badly. His or her perogative and they can pay for it but not the government. Most doctors know smoking to be a major cause of heart disease. Why not raise the tax on cigarettes to fund the treatment of heart disease in smokers? I would prefer to see non-invasive investigation used for diagnosis in the first instance since it is safer and less costly. “Imaging in asymptomatic patients? Who does this? “. Well there’s breast screen for a start. Then there’s colonoscopy for bowel cancer screening. Coronary disease is the commonest cause of death in Australia. We have treatment with statins and lifestyle adjustments that can virtually eliminate risk if treated actively and we have a test in CT cor angiography that will give us a diagnosis with high degree of accuracy. No other disease/screening modality/therapy offers the same degree of potential benefit. Once the Framingham CVS risk gets close to or exceeds 10% over 5 years I would do a CT and find out if disease is present. If it is then treatment should be initiated, if there is no evidence of stenosis or of plaque then the individual does not need to take statins nor dramatically change his lifestyle for another 5 years or so. Of course we need studies and the risk is that people will have the test who are at low risk. In this case risk will outweigh benefits. Unfortunately we have entrepreneurial medicine, interested in mining as many big Medicare item numbers as possible, and advertising direct to the public, also media who promote this. Does asymptomatic include diabetic patients who are notoriously prone to silent myocardial ischemia because of autonomic neuropathy? Anecdotally, I’ve had several patients in the last 6 months who came to emergency CABG after routine stress echoes performed because of diabetes and hypertension but with no symptoms at all. I think they must be thinking of people with NO RISK FACTORS for CAD. Breastscreen is offered to women with no risk factors for CA. As far as I know, we don’t do screening colonoscopy on people with no risk factors for polyp disease. I tend to use nuclear myocardial imaging for my patients as I’ve been burnt by a few false negative stress echoes in the past. I only order these in patients with risk factors and a few have gone on to CAGS or plasties for significant disease and were otherwise asymptomatic but were smokers or diabetics or had family history.